At Michigan Tech, Mikesch was a four-year member of the Huskies hockey team. He helped them to three WCHA Final Fives in four years. Mikesch is one of the most decorated players to ever adorn the Huskies jersey, as he ranks 7th all-time in scoring with 169 points (57 goals and 112 assists). After his collegiate career, Mikesch played eight years of professional hockey in the AHL, IHL, ECHL and Germany. Mikesch played two seasons in the USHL with the Des Moines Buccaneers (1990-92), where he was a teammate of former Gamblers head coach Eric Rud on the 1992 squad that captured the Clark Cup. 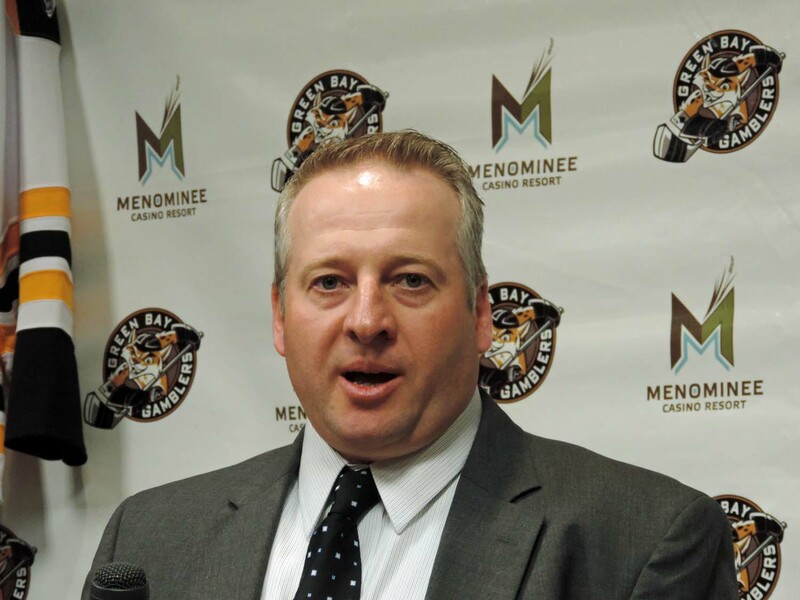 Following is a portion of Pat Mikesch’s press conference on Thursday at the Resch Center in Green Bay.